Andrew A. Merkulov. The Firebird driver member, Firebird and Interbase DBMS consultant. In this note we would like to inform you about running 6.7 million various tests for blobs. On our scale, it is a big testing. Usually we run each IBProvider update through 0.7 million tests. Performing these 6.7 million tests in one thread would take 150 days. Parallel run in 10 threads reduced this time to 15 days. We won’t bore you with details and will provide only key information. We present new personal license for 32-bit IBProvider called «One Time Personal License (32-bit)». The new license is meant for all those who would like to create small programs for Firebird and InterBase for WIN32 and .NET platforms. This is the same full-featured 32-bit provider (prof and lite editions) that is included into licenses for developers and MS SQL. It does not have any technical or time restrictions. The price for new license is quite symbolic: 99+1 EUR. We are glad to announce the new update of IBProvider — v3.50. Main feature of this release — elimination of very old restrictions of our OLE DB provider. 1. IBProvider v3.49 was released. We ensured a stricter compliance with the OLE DB specification and revised the existing code. 2. Microsoft changed its decision to go back to ODBC and promises to release an updated OLE DB provider for MS SQL. Let’s hope that they not only will rewrite the provider but also update the OLE DB specification. We have a great piece of news for all users of IBProvider v3 — we have rewritten the latest subsystem inherited from the second version of the provider. In other words, we have finally fully updated and improved the entire IBProvider v3! In addition to updating the IBProvider, we released new assemblies of our ADO.NET provider for .NET Standard 2.0 and refreshed the “LCPI OLE DB Services”. 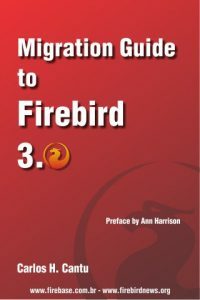 New release v3.43 of our “Native OLE DB provider for Firebird and InterBase” available for download. Release of “LCPI ADO.NET data provider for OLE DB” v1.1 includes the new DDEX provider (v2) for Visual Studio 2017. See the short instruction for installation and configuration of DDEX provider in VS2017. New update of IBProvider – v3.41. We are pleased to announce the new update of IBProvider – v3.40. There are not a lot of changes in this release. However, it was very well tested. Including with a our new connection pool, which we will present in a month. A new version of IBProvider (native OLE DB provider for Firebird and InterBase) has been released.